Do You Have A Stagnant Social Media Profile? Don’t Miss Out On This Boot Camp. Hey there! 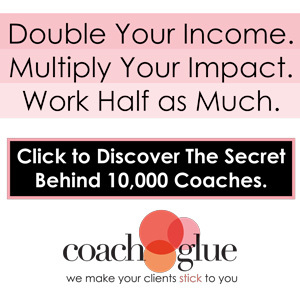 If you’ve been having trouble getting your social media platform to be profitable, don’t miss this bootcamp offered by Coach glue. Today it will be archived. I know it’s going to be good. Coach glue doesn’t put out any garbage. If they did, I wouldn’t be promoting it or buying it myself. Check it out today by clicking on my affiliate link here: Social Media Boot Camp. You can also get to it by clicking on the banner listed below. I know some of you LOVE pranks. I know that there’s a whole section on YouTube just for pranks. I know today is supposed to be all about pranks. Ugh. Just ugh. I have a big thing about lying. I think that is the worst thing you can do to someone. Also, some of the pranks I’ve seen are harmful. Like people putting mayo in doughnuts. What if the person you’re serving the doughnut to is allergic to mayo? Not a good look? Also, if you’re a business person and you routinely post “Gotcha” posts, you’ll eventually make people doubt you. As soon as you start posting things that are not pranks, people will start to wonder if you’re telling the truth or not. So if you value your credibility, you may not want to post pranks on the same profile you are using to try to get customers. However, if the people in your niche expect pranks, then I guess it’s okay. Sorry this post is a bit more rambly than what I usually post. This day just gets on my nerves. I feel like people go out of their way to hurt other people and I don’t like it. So you guys know I don’t do pranks, right? I don’t believe in them. I don’t think they are funny. I think they are cruel and mean. Hi. I did a video review of this awesome fan I bought. Yes, the video does contain an affiliate link. Enjoy. 1k Weekend Photography challenge. LAST Day! Today’s small business training tip: Listen to your gut. Today’s blog post stems from an incident that happened to me today. I was dealing with a client that wanted me to write content without getting a deposit or a contract. My policy is never to start work without these things in place because I’ve had people disappear on me after I gave them their finished content. I am proud of myself for having the courage to stop working with this client on this job. In the past, I would have tried to make it work. So for you, whatever policies you have in place, follow them every time. Don’t be tempted to bend your own rules in order to gain a client. You’ll wind up with a headache no Aleve can cure. 10 Funnels To Help You Grow Your Business. Hi there. Whew. It’s been way too long since I’ve posted in this blog. I apologize for my long absence. My infant daughter has been in the hospital for a full year and it’s taking its toll on me. If you don’t have a clue about what I’m talking about, click this link: https://fundly.com/getkayliehome. I know Independence Day has passed, but I did want to take this time to share this video that I made discussing my thoughts on Financial Independence.